Ingimex is celebrating a successful CV Show with the launch of an intelligently-designed range set to revolutionise the LCV market. The leading body manufacturer unveiled its new T6-Pick-up and T6-Tip-up range to supplement the Volkswagen Transport chassis, enabling end users – for the first time ever – to benefit from increased payloads of 1tonne and 1.2tonne respectively, which until now was restricted to larger vehicles. The new bodies have been designed exclusively for the VW T6 chassis aesthetics with tubular bulkheads and underbody foot-steps aligning with the cab’s profile, and with multiple load securing points incorporated into the new design of both the deck and bulkheads, providing users with an extensive provision of payload security and safety. Confirming to the latest European Standards for the strength of body, structure and load securing points, the Tip-up and Pick-up range is available exclusively to the VW market, with the potential of being scaled across the manufacturer’s Crafter chassis in the near future. Users can also streamline their own processes, enhance fuel efficiency and subsequently fuel consumption, by utilising a compact vehicle with low Co2 emissions and high payload capabilities. 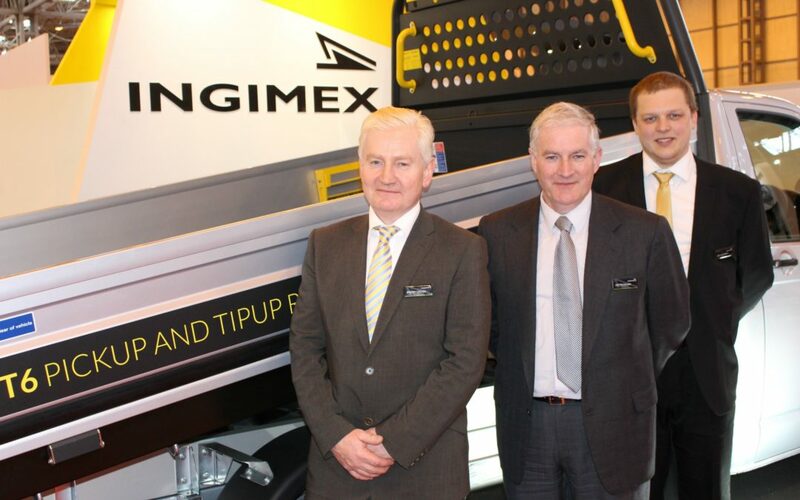 Justin Gallen, Managing Director of Ingimex, explained: “We’ve been working extremely hard behind the scenes on this exciting development and were thrilled to have officially launched the new range to the trade and public at the CV Show this week. The market, for the first time, now has the opportunity to take full advantage of load handling typically associated with larger vehicles, but with the driving characteristics of a compact working vehicle.